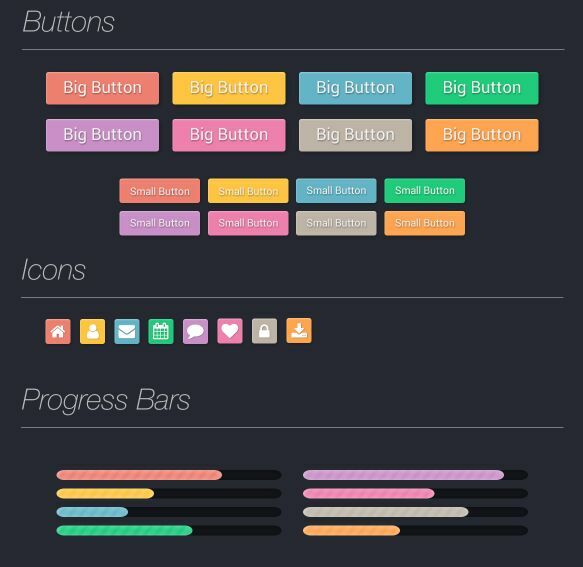 A simple, clean, colorful ui kit for modern web design. Free for both commercial and personal use. Pretty Simple UI Kit PSD for you to download and use in your next web design or graphic design project, created by natalianovakovic.